The CBC’s James Cudmore is reporting from the NDP’s headquarters in Montreal tonight, which has been scaled back since former NDP Leader Jack Layton’s 2011 election breakthrough. The room is less than half the size of what was used in 2011. Cudmore says there’s no bar, food, decorations, seats or any distractions whatsoever. Our NDP Party channel is live now. Check in on party headquarters and watch speeches and comments in the “Live Streams” section of our results page. Our Green Party channel is live now. Check in on party headquarters and watch speeches and comments in the “Live Streams” section of our results page. Watch live video from the party headquarters. We will be adding live speeches and reporter interviews through the night. Check out our live channels dedicated to the major parties. For those of you who are new to cbc.ca/politics live chats, I'm a producer here in Ottawa's Parliamentary Bureau, and I'm going to play cruise director until about 9 p.m. tonight. We've got some great guests lined up to help you understand what's happening. Later on, as the results come in, you can react and analyze along with us. I'm giggling a bit because our first guest Éric Grenier just told me internally he's homesick. True fact: for the last two months or so he's been a near desk-mate of mine while he ably helmed our poll analysis for this campaign, and he's often one of the first people I see early each morning. He's in Toronto tonight for the big show though... so a virtual hello to you my old friend! 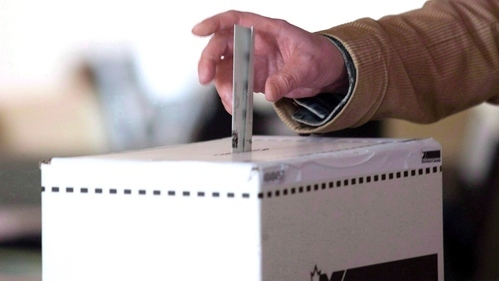 An hour to vote in Newfoundland and Labrador in #elxn42. And an hour to go when the rest of Canada remembers again how many (or how few) ridings there are in N.L. Éric's specialty is poll aggregation... he doesn't conduct polls himself, but he analyzes other people's polls. Obviously a very helpful guy for CBC to have on the team this year. I apologize for asking the same question you've probably answered a million times today, Éric: what are you looking for tonight? A few things. The first is Liberal momentum. They seemed to have it in the final days of the campaign, and if it continues through to today they could be a lot closer to that 170-seat mark than expected. So, will the Liberals put up big numbers in unexpected places? The other thing is how effective the Conservatives will be getting their vote out. Their supporters tend to be older, and older people vote. So will their supporters come out? 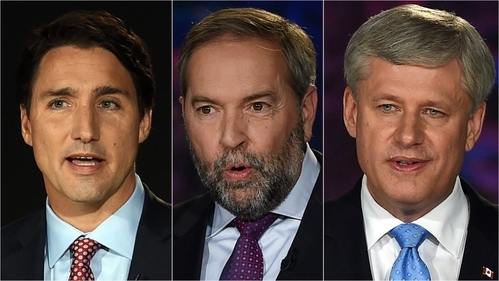 And for the NDP, it is whether their incumbents out-perform. They've done that in the past, so it will be something to watch for. But if we see NDP incumbents losing to Liberals, strategic voting might be working against them. Interesting ridings for their own merits - good races where it isn't as much about the star candidates as it is about what the implications of the results mean for the wider race. The national-level horse race numbers don't always tell the tale on a seat-by-seat basis. Can you think of some ridings where there's a dynamic at play that you can't get from the main national numbers, by way of examples? After a gruelling 78-day election campaign, more than 66,000 polling stations will open across the country with Elections Canada bracing for a heavy voter turnout. From the east coast to the west, here are 30 hotly contested ridings to keep an eye on throughout Monday night. There are a few of those. For the Bloc, a riding like Laurier-Sainte-Marie where Gilles Duceppe is looking for a comeback. Without him, it wouldn't be high on the Bloc's list. For the Greens, a riding like Victoria - impossible to know how they're doing from BC-wide polls. A riding like Spadina-Fort York is more about the candidates than it is about the parties. The ridings in Ottawa that have a large population of public servants. And the ridings like Brampton. Big, changing population with large minority communities that are hard for pollsters to reach. I know pollsters and poll analysts don't always like to talk about this but I think it's there at the back of a lot of people's minds: Is there a chance, do you think, that the polls have it wrong this time? There is always a chance, and I'm always very much aware of it. But it is hard to imagine that they could all be wrong in a very unexpected way. If they will be wrong, it is probably going to be at the edges. A few points in Ontario, for example, could flip enough seats to change the outcome dramatically. Where the polls seem to disagree is on the strength of the Liberals. 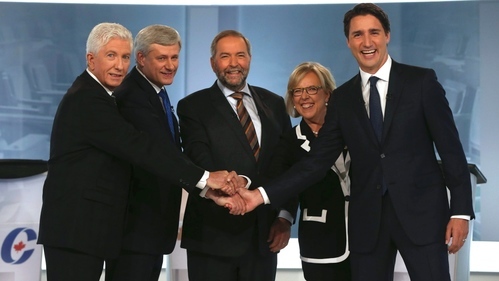 They all generally agree on where the Conservatives and NDP stand. So the number to watch might be the Liberals'. But be prepared for anything! Exactly. Pollsters try to reach 100% of eligible voters, but only 60% to 70% will actually vote. If those people are very different from the 40% who do not vote (but answered polls), the polls will be off. And there is the question of demographics. Older people vote in much larger numbers than younger voters. But some polls (not all) do not show big differences between the voting intentions of older Canadians and those of middle-aged Canadians. Younger Canadians skew differently. Election day is Monday, Oct. 19. Here's what you need to know. Let's take a couple questions from readers before you go, Eric. High levels of turnout are generally considered bad for an incumbent government. And if turnout is indeed up among younger voters (I suspect we won't know for awhile) that would be doubly bad news for this particular government, based on the polls. Unique in this election is that every party, at one point of the campaign, was in first, second, and third. That is definitely knew. And it allowed for a number of ebbs and flows. It certainly made it interesting to follow, and for trends to develop over prolonged periods of time. This could be the year for BC, but only if the Liberals and Conservatives are looking almost tied by the time the polls close everywhere else. It certainly could happen, but this election is hard to call! I don't think it will have a huge impact, since most of the country is closing at the same time. If there is an impact, it would probably be favourable for the Liberals, since they are expected to start the night with big numbers in Atlantic Canada. The three-way race may have broken countrywide, but it is alive and kicking in British Columbia, where as many as two-thirds of the seats are in play.